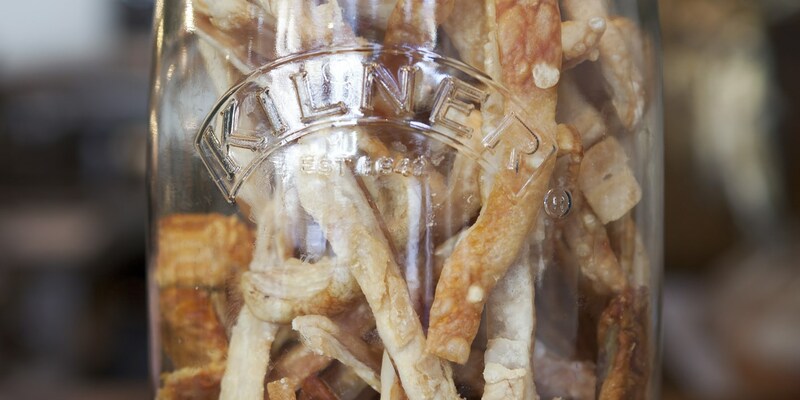 No one can resist a piece of freshly made pork crackling, but perfect crackling isn’t just for Sunday roasts – ask your butcher for a piece of pork skin and make these scratchings for a tasty snack or party nibble or to garnish any pork dish. Try mixing the salt with spices, cayenne pepper or herbs for an extra flavour kick. Richard Davies boils, dries and then deep-fries his pork skin for a lighter puffed-up texture.